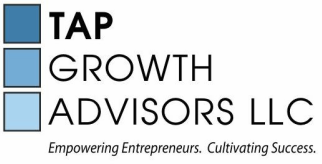 TAP Growth Advisors clients are talented professionals who have reached an inflection point in their lives and want to embark on a path to entrepreneurship or self-employment. Very often our clients choose to reenter the workforce through a new endeavor, different from their past professional roles. How do I choose the business idea that is most realistic for my life and skill set? How do I begin to test my concept? What resources are available to me for launching my business? What do I need to put in place to make my business viable and sustainable? How to I market myself/my business to others? How do I overcome personal and professional obstacles to my success? How do I find the right balance for self employment? 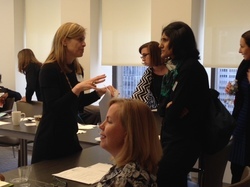 "I recently attended a TAP Growth Advisors workshop; Lisa and Jane were inspiring. The information and insight they presented to us was extremely valuable. The detailed document that accompanied the presentation provided clear goals and objectives as well as multiple guidelines for aspiring entrepreneurs. I particularly enjoyed the "breakout session" where there was opportunity to be questioned and supported by other women pursuing goals within the business arena. After leaving the workshop I felt confident to tackle the writing of a business plan as well as take other "next steps" to achieve my entrepreneurial dreams!"